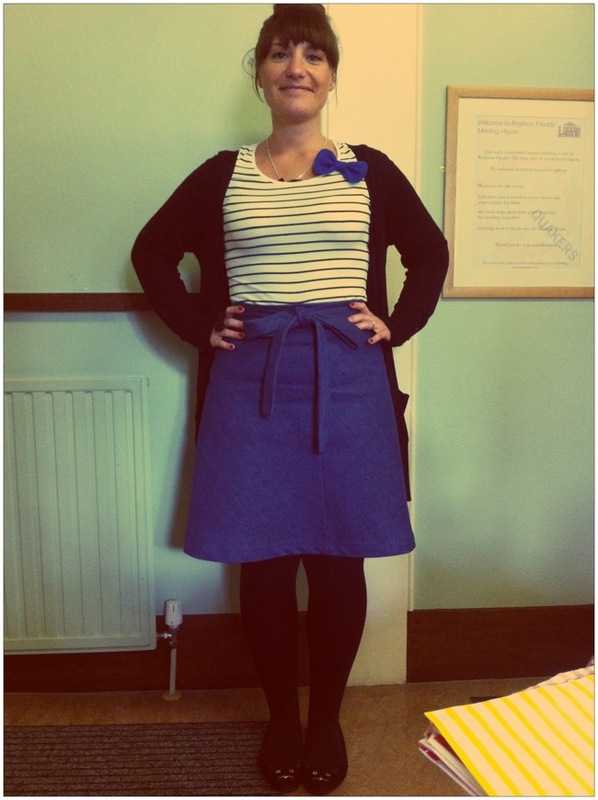 "This skirt was as much a pleasure to sew as it is to wear. It's really comfortable but cute, and because I skipped the pockets, I can wear it with the bow on the front or in the back, so it's quite versatile. I chose to make it in denim because it looks good with everything in my wardrobe. The simple construction and the great instructions make it a great project for a beginner or instant gratification for a more advanced sewist. I cannot recommend it more. 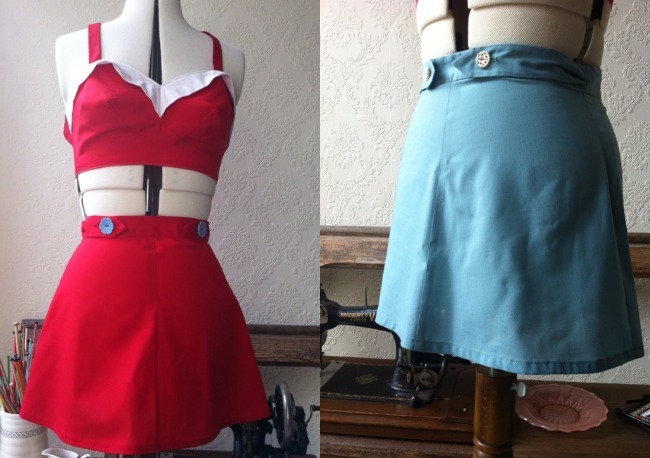 In fact, I made another one for myself (with pockets) in red linen, and I love it even more!" 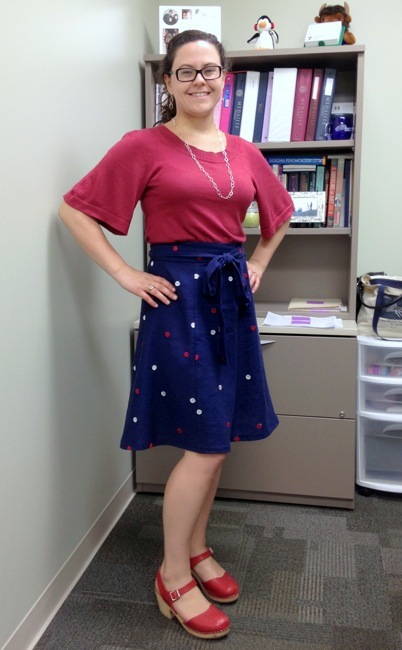 "It is my FAVORITE skirt pattern! It's easy, comfortable, flattering, and can be perfect for any season. Since I'm generally overly paranoid about wrap skirts/dresses - even though this one provides ample coverage - I put a snap on the open side about half way down. You can't even tell that the snap is there and it puts my mind at ease." For those of you in the Southern Hemisphere, looking for an easy beach cover up, check out these beauties made by Andrea! 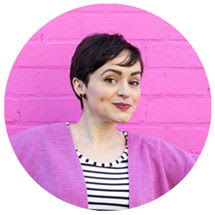 I love how she's cleverly turned the bow ties into button tabs - I must try this. So cute! "This pattern came together really quickly. The instructions, and sew along on Tilly's blog, are super clear and straight forward. The only difficult bit was turning that waist tie round the right way due to the thickness of the denim....oooh sore fingers :( I love the fit and the fact the ties make a huge front bow.....surprise! 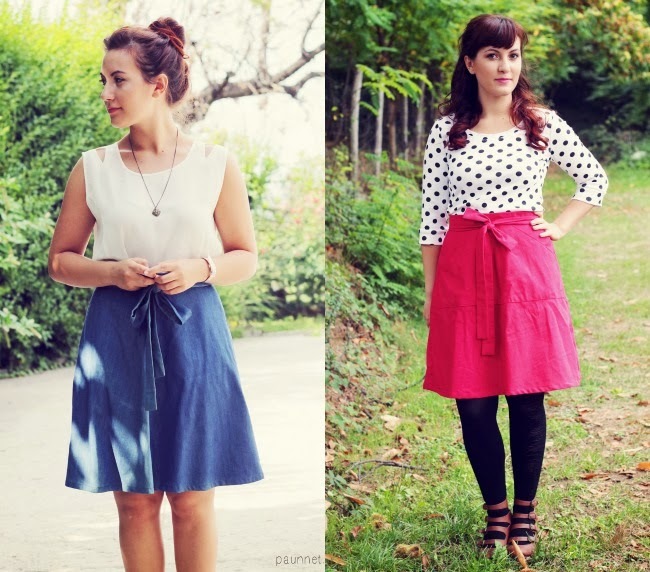 I love this skirt, it's going to get so much wear and I can already see a red one and possibly a navy polka dot one in my wardrobes future (you can never have too many spots)." Thanks you guys for agreeing to be featured! 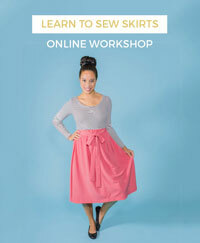 There are plenty more Miette skirts made by you on the Pinterest gallery.